Upgrade Nortel CS1000 to Avaya Aura 8? 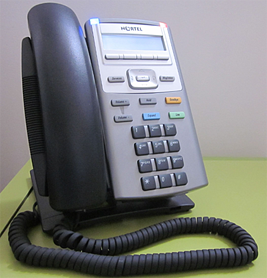 If you have been using an old Nortel Communication Server 1000 (CS1000, CS1k) as your phone system, now is the time to think about upgrading. Historically the cost of new endpoints for a large phone system upgrade would make the upgrade too expensive. But now you can upgrade your system, receive long term support (LTS), and keep your old phones with Avaya's software investment protection plan. The plan offers aggressive discounts to ensure that you get the maximum amount of value from your existing Nortel phones with Avaya Aura Release 8. Session Initiation Protocol (SIP) now underpins the majority of all integration with the Avaya Aura Platform allowing for SIP trunking, SIP 3rd party integration, and SIP endpoints. Avaya Aura 8 can also deploy on a list of platforms including Amazon Web Services (AWS), VMware, KVM and Nutanix Acropolis. You can now build highly redundant systems that take advantage of your existing virtual infrastructure or leverage the resiliency of cloud platforms. The ability to future proof any system is the desired end result of any IT project. In the past, legacy phone system platforms meant lots of hardware in a closet, and adding to your system meant potentially buying more hardware to be able to meet demand. Fast forward to today and Avaya has met the challenge of being able to help you design for the future offering the ability to deploy when, where, and how you want for maximum flexibility.